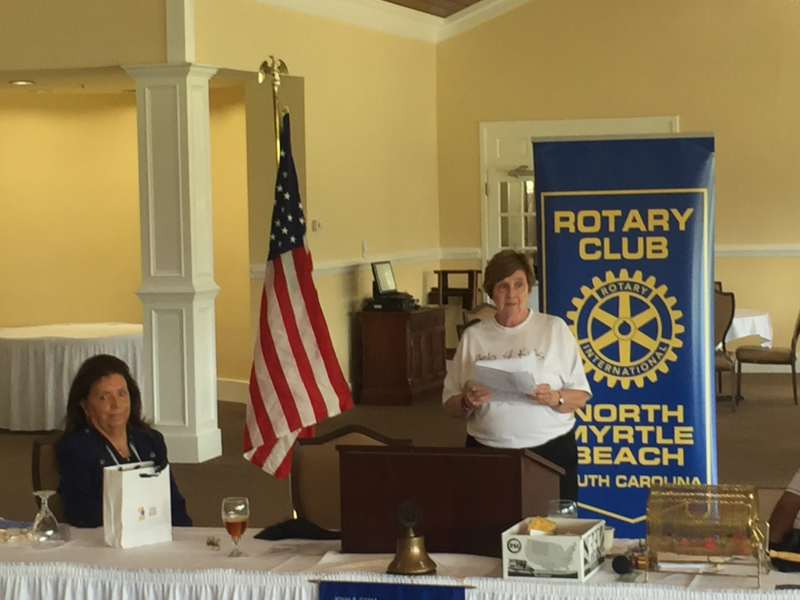 On Tuesday August 16th we had the pleasure of having Erna R. Blome along with Kathleen Mielke from Help 4 Kids & Backpack Buddies speak to our club about the needs of underprivileged kids in Horry County. Help 4 Kids provides food for hungry children of Horry County who through no fault of their own do not have enough to eat on a daily basis. Research shows that hungry children have poorer mental and overall health, miss more days of school, suffer greater rates of behavioral disorders and are less prepared to learn when they are in school. During the 2004 school year, Backpack Buddies was piloted and distributed food to approximately 300 children every Friday. After a successful first year, Backpack Buddies is now well into its tenth year and has expanded the program from three to 28 schools! Backpack Buddies is now making and delivering almost 3,000 food packs per week! With goals of helping to eliminate these life-changing effects of the children in Horry County, Backpack Buddies supplies participating schools with nutritious, child-friendly, self-serve food designed to put in a backpack and feed a child over the weekend. Help 4 Kids has experienced so much success with the backpack program and have seen tremendous strides in the lives of our children. Parents have expressed their appreciation and it is so exciting to see the faces of the children when their backpacks are given to them…it is a phenomenal thing to witness. 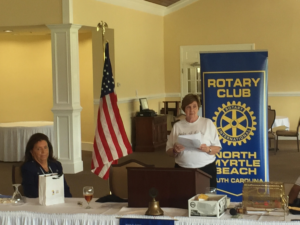 NMB Rotary Club Looks forward to working with Help 4 Kids and Backpack Buddies to help fight child hunger in Horry County!